Putting his expertise to work, Former State Senator Michael A. Balboni began a full-service government relations, emergency management, crisis communication, and business development company in 2012. 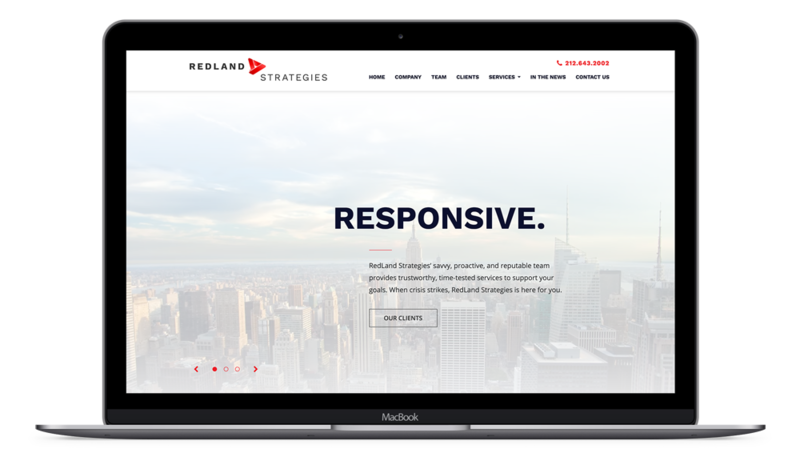 With a staff of industry mavens and security experts and a reputable client list, RedLand Strategies needed a strong brand and new website that conveyed their unique combination of reliability, disaster prevention, and strategic business development. We chose a bold typeface that would carry out throughout the site, representing the progressive nature of RedLand Strategies. Our team developed a logo communicating connectivity through RedLand’s multiple networks of specialty services, organizations and sectors of government that work together to strengthen one another. We strengthened and invigorated the RedLand Strategies brand by incorporating Former State Senator Michael A. Balboni’s signature throughout the website and printed material. Redland Strategies was developed out of a national need for crisis management operations. It was crucial that our rebrand reflected the indispensable value and urgency of their business. Our new website aimed to convey the mission, vigor, and capabilities of their company by showcasing their distinguished clients and bringing light to the incredible network they’ve built across industries. 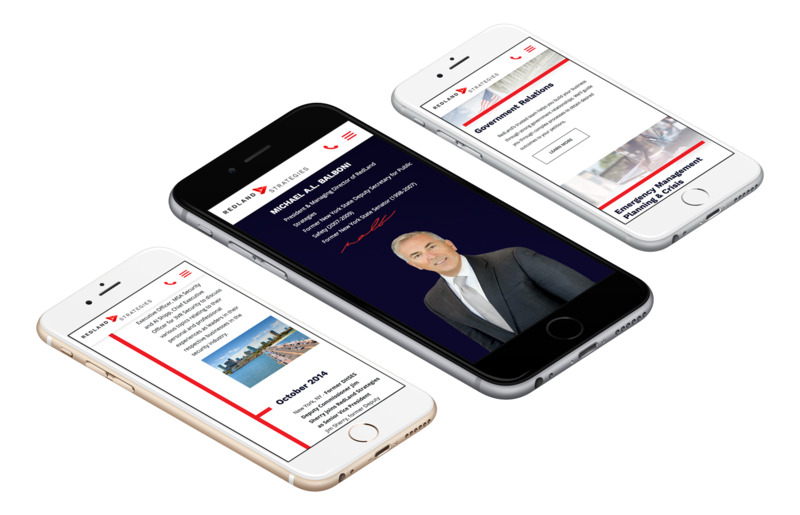 Showcasing their extensive network and reputable clients, our new website aimed to reveal the unwavering strength of RedLand Strategies. RedLand Strategies required a rebrand and website redesign to reflect their wide-reaching industry expertise and professional prowess. Headquartered in Manhattan, we featured a homepage timelapse video to convey the energy and magnetism of their location. We consolidated their services and designed each page to house concise, value-driven copy. Being a reactive business, it was essential to deliver a strong, clear-cut mobile experience with ease of use across all devices. We are proud to partner with a team that has the energy and vigor to move mountains. RedLand Strategies is now more accessible to media inquiries and prospective partners, and we saw that communication begin the week of launch. For us, creating a web presence to reflect RedLand’s expertise and abilities was a tremendous reward in itself.